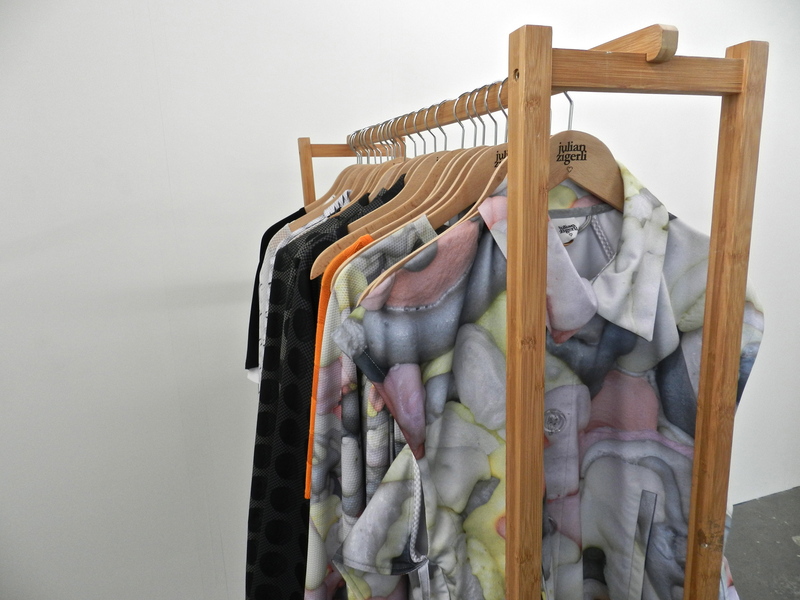 Throwback to MODE SUISSE EDITION 6 preview showroom in Zurich last 3-4 September. The quick fashion talk I had with the Swiss menswear designer JULIAN ZIGERLI has been, without a doubt, the most surprising one of my day. Perhaps because I was not that attracted to his work before meeting him, in my opinion too much into fantasy and colours, too far from classic in fact. Though if there is something to notice, this has to be his willingness to be ironic about the 24h-in-suit-business-man figure of today. He quickly described his SS15 collection as a way to step between “the suit world and this man who wakes up every morning without exactly knowing what to do“. Those few words definitely brought me and his work together for the reason that they immediately revealed his more generally purpose. He is not only doing fashion but much more than that indeed. He is using it as a medium to express his opinion about society. 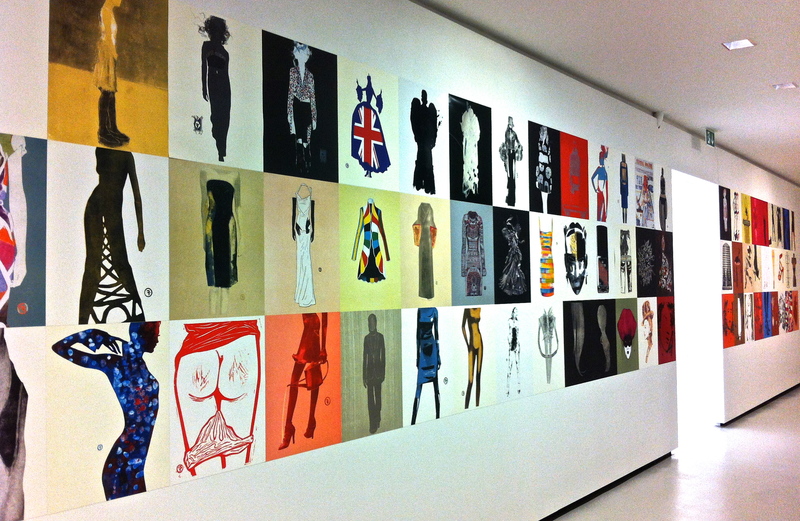 Whatever it is, about or against it, Julian Zigerli “grew up“ and this is obvious through his new collection. By the way, its name, a well-thought one, is LIFE IS ONE OF THE HARDEST. Something to think about, isn’t it? Perhaps this could be why more formal shirts even suits have been brought back into his world. However do not think that every kind of fantasy has been completely left and lost. Shirts arms have been dismantled and suits divided into front and back colors. Life being sometimes such a shrew, I guess it is all about people turning their back on each others or why not on society. The Swiss designer plays all in subtlety with the business world, briefcases matched to underpants offer proof of it. What concerns patterns, it is no secret that honeycomb cells belong to his AW14 while what remembers me of an insulating foam promises a bubble-gum-colourful spring. The watchful eyes should already have spotted a pattern-relative detail. Crystallized while overflowing just under the feet there is another foam. The one drawing perhaps the metaphor of a society based on the ever-growing law of the strongest, you know, that authority process of constantly crushing the weakest. And do I have to remind you of Mr. Giorgio Armani lending support to him last year at Milan Fashion Week by hosting his show in Teatro Space? That would be rude for sure. So that the young Swiss designer drew the attention of the Italian master of elegance himself, all the same it must have something classic within the Zigerworld. Could it be the essential impudent wish to titillate fashion standards? 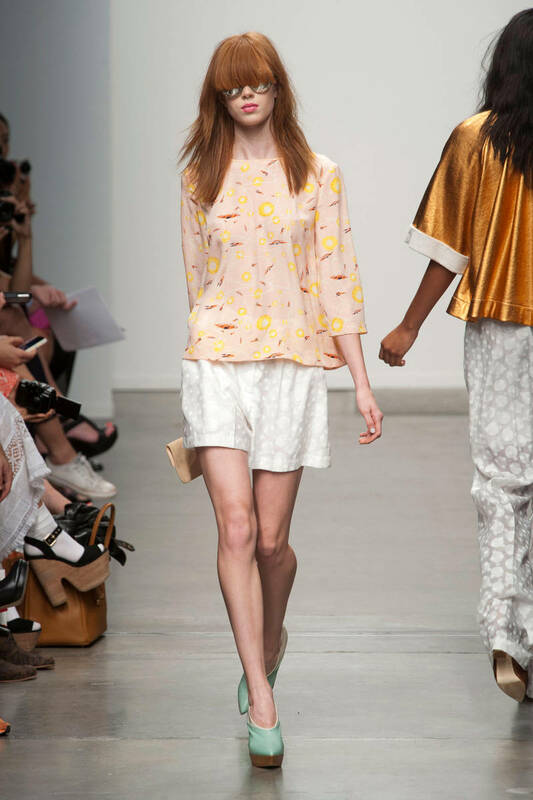 On the runway of Karen Walker Spring/Summer 2013 Ready-to-wear Collection.